I read this article and found it very interesting, thought it might be something for you. 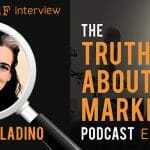 The article is called Ep 56: Melanie Saladino – How To Write For The 9 Buyer Types and is located at https://copychief.com/ep-56-melanie-saladino/. 1:35: The copywriting cardinal rule for all marketers (and why failing to heed it is costing you a big ol’ pile of money). 3:05: How Melanie discovered an obscure book that helped her build a “no fail” system for capturing the hearts and minds of only the perfect customers. 6:00: What thousands of years of research (from the world’s most brilliant minds) teaches us about understanding your ideal customer better than their bartender or therapist. 13:10: How you your brain is murdering your sales without you even realizing it. 20:00: Does Copy Chief have an identity crisis? Melanie surprises Kevin with why he may have picked the wrong market! 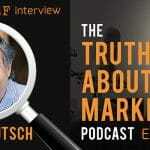 26:30: Are you teaching valuable insights to your prospects? Or talking down to them? Why you need to stop being a dinosaur and catch up with the times. 28:30: How to make your customers relax and trust you … so they’re excited to become your newest happy customer. Love the ideas of safety and excitement and how they work differently for men and women. It’s a much more precise way of thinking about it than the whole logic/emotion thing. Melanie, thanks for the 9 simple customer profiles!